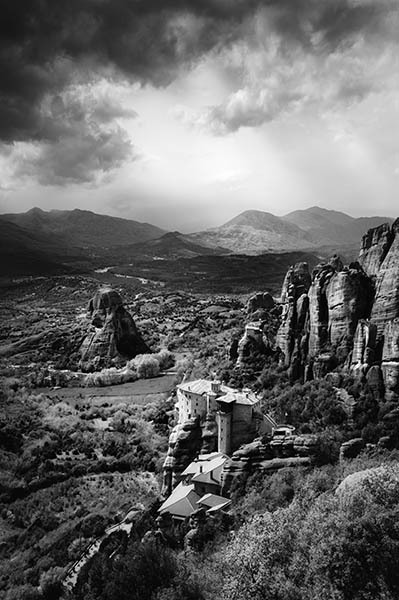 The ancient monasteries and beautiful scenery at Meteora in Greece. The monastery in the foreground in this photo is Rousanou which dates from about 1550. Further into the distance you can also see the Holy Monastery of St. Nicholas Anapausas.